Having a head for numbers is an ability that people can bank on—quite literally. Being good with numbers gives people an edge in all kinds of jobs, from investment banking to professional poker. But the ability to quickly and intuitively crunch numbers—a skill called numeracy—doesn’t just give people an edge in math class. New research shows that it can also lead to greater personal wealth. 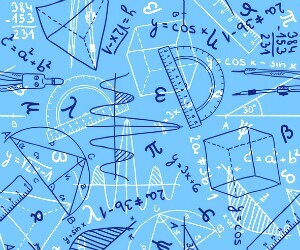 Numeracy skills go beyond the capacity to calculate numbers, extending to other important abilities like reasoning, information processing, and accurately analyzing risk. These skills can provide a distinct advantage in making day-to-day decisions on everything from picking the best retirement plan to assessing the risk of starting a new business, according to new research from an international team of psychological scientists. Previous research has found that people high in numeracy, compared to people low in numeracy, are less susceptible to some psychological biases and fallacies. For example, The Ohio State University psychological scientist Ellen Peters explains how highly numerate individuals may be better at ignoring framing effects. When asked to rate the quality of work described in positive frames (e.g., Emily got 74% correct) or negative frames (e.g., Emily got 26% incorrect), highly numerate individuals showed less of a discrepancy than their less numerate peers. In their study, Estrada-Mejia and colleagues tracked a nationally representative sample of around 1,000 Dutch adults over a 5-year period. Participants completed online questionnaires that gathered information about their gender, age, education, work status, and monthly income during 2007, 2009, and 2011. Participants were also asked about their other financial assets, including checking and saving accounts, mortgages, and loans. Numeracy was tested using an 11-item measure of basic arithmetic and statistical skills. For example: “Imagine that we rolled a fair, six-sided die 1000 times. Out of 1000 rolls how many times do you think the die would come up even (2, 4, or 6)?” (Correct answer: 500 out of 1000). The results showed a significant relationship between numeracy and wealth: The better an individual’s math skills, the more money they had socked away. The correlation between numeracy and wealth remained even after the researchers took various factors into account including level of education, risk preferences, and financial knowledge. Despite the fact that older adults nearing retirement have different savings incentives than younger adults just entering the workforce, the researchers found that the relationship between numeracy and wealth was robust for both older and younger individuals. Estrada-Mejia and colleagues caution that the results of this study are correlational and that they did not have data regarding any wealth gained through inheritance or family assistance. However, another recent study published in Psychological Science also found a relationship between wealth and mathematical abilities. Examining data from two large, longitudinal studies conducted in the UK, researchers from the University of Warwick found that childhood academic abilities were linked to adult wealth. Furthermore, the data showed that children who were born premature tended to demonstrate lower academic abilities in childhood, particularly in math, and they ultimately tended to accumulate less wealth as adults.